The large double kidney looks even more impressive when seen on a 7 Series with M Sport package and extended Shadow Line. 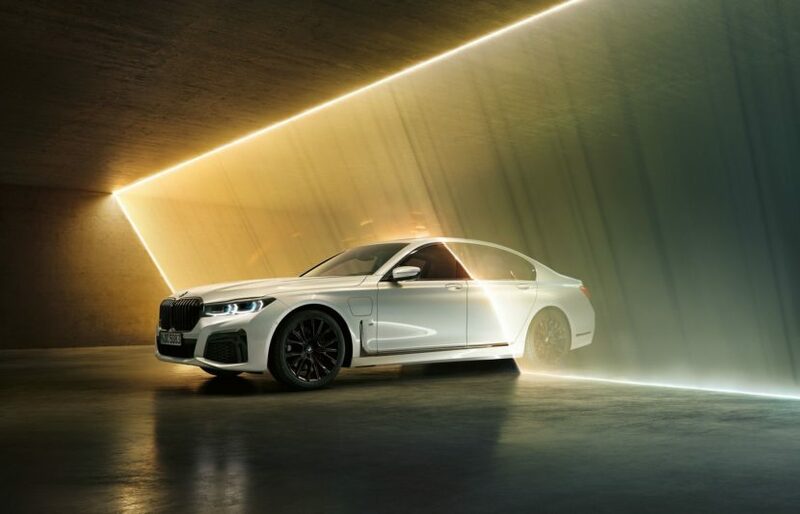 Especially in combination with a white finish, the 2019 BMW 7 Series facelift is even more confident. Some new photos show the plug-in hybrid model BMW 745e in the combination of M Sport and Shadow Line. 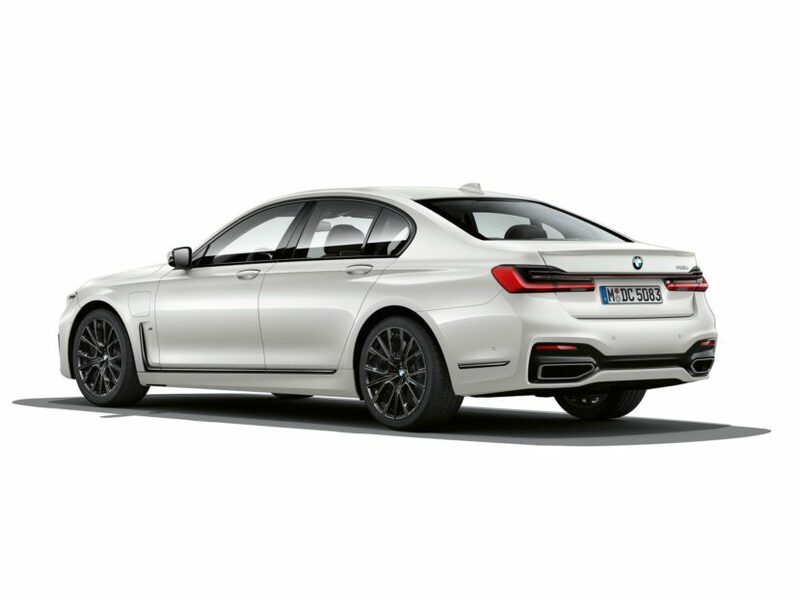 At least in Europe, the BMW Individual High-gloss Shadow Line with extended heights is available for all models with the M Sport package and includes not only the kidney frame, but also black tailpipes and a few other details. The usual Shadow Line without extended perimeters provides black kidney struts, trim and window slot covers. 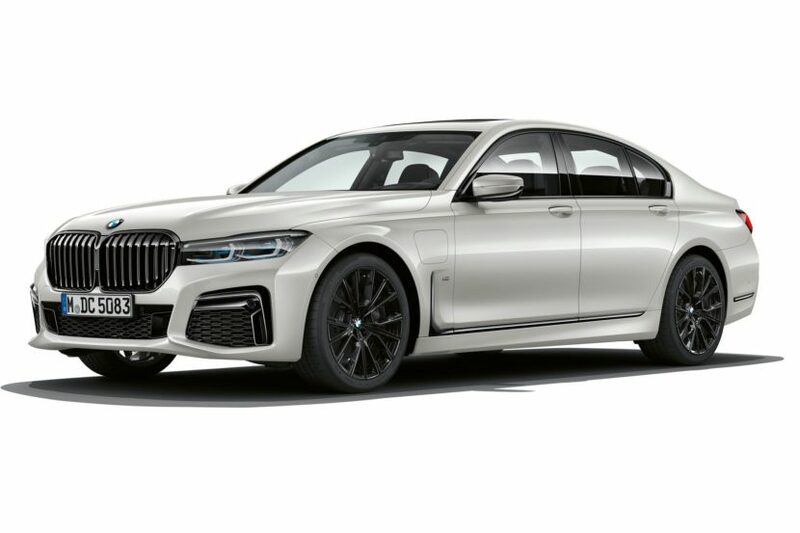 In addition to the prestigious kidney, the air intakes below the headlights, which are particularly large in connection with the M Sport package, set dark accents. On the photos that have just been published, the 20-inch M light-alloy wheels star spoke 817 M in Jetblack round off the black and white appearance of the luxury sedan. The only indications of the plug-in hybrid drive of the 2019 BMW 7 Series facelift are the lettering on the rear and the additional flap on the front left fender. eDrive logos and other visual notices will be removed from the facelift, bringing the PHEV models closer to the conventionally-powered vehicles. The idea behind it: hybrid is the new normal at BMW and deserves no special optical emphasis. 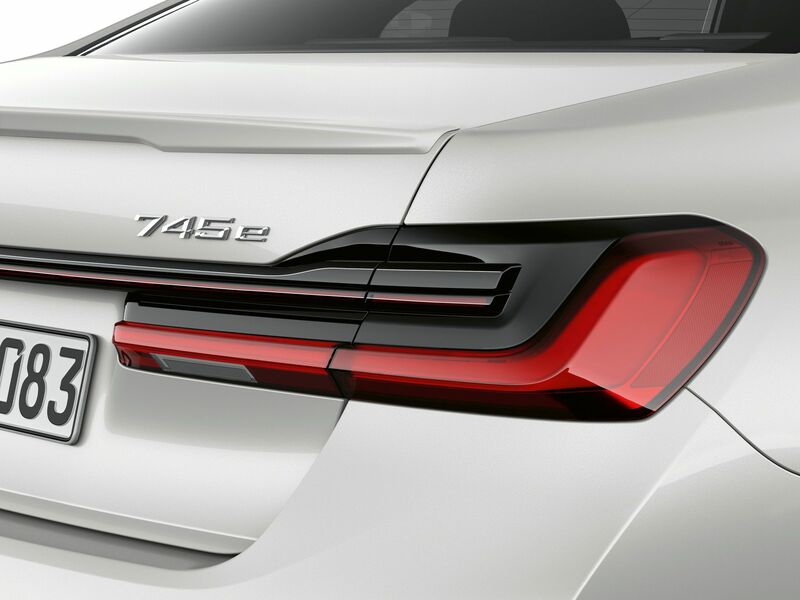 For safety reasons, it is not possible in the case of 745e and 745Le to remove the badge on the rear.